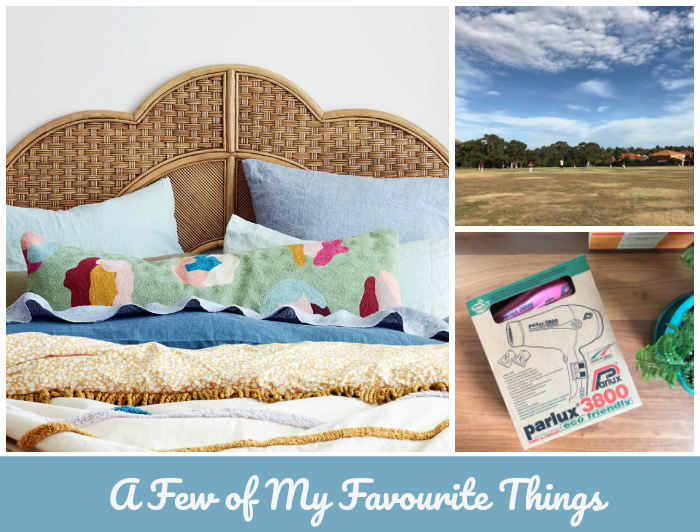 Welcome to this latest edition of A Few of My Favourite Things. This week, it’s all about making the most of the daylights savings, colour, fun, home wares and great hair. One of my favourite things EVER is to spend a balmy evening with friends, chatting and catching up, while the kids play happily together. 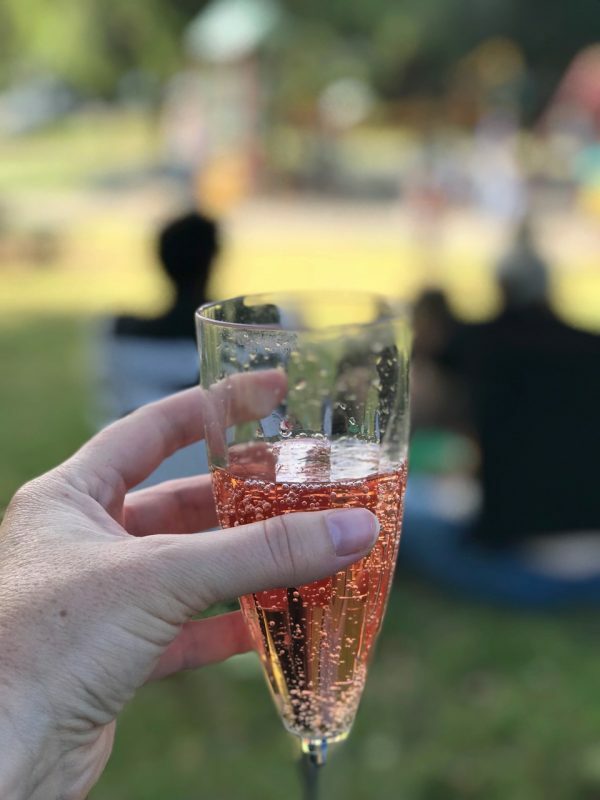 With the balmy conditions we’ve been enjoying here in Melbs lately, we’ve been fortunate enough to indulge in a twilight picnic once, if not twice, a week lately. 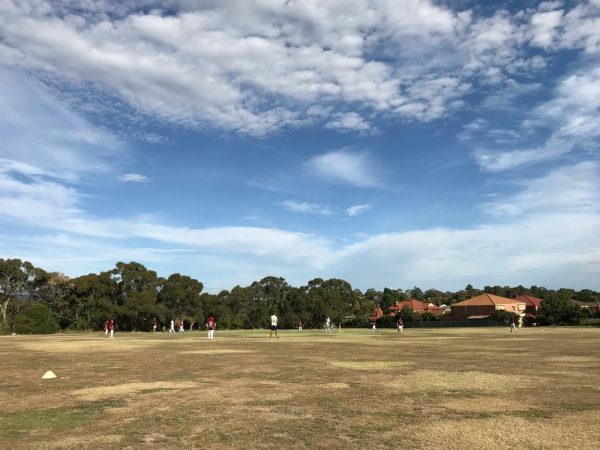 Sometimes it’s just while we’re watching our eldest play hours of cricket. Other times, it’s a spontaneous Friday night picnic dinner in the park with school friends. It really is that magical combination of a light breeze, the late arvo sunshine and daylight savings. With daylight savings ending in a few weeks, we’ll try to continue to make the most of it. 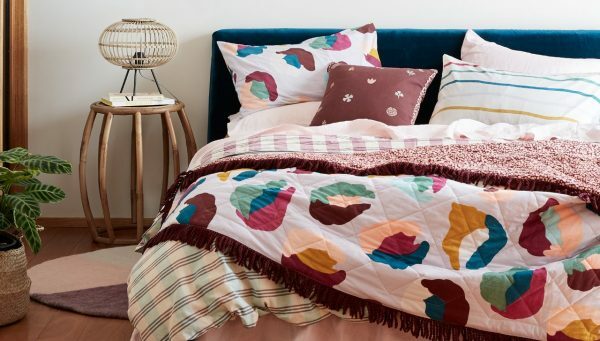 My inbox and insta feed exploded with colour and fabulousness this week with the launches of Kip & Co. and Sage & Clare’s new Autumn/Winter 18 ranges. 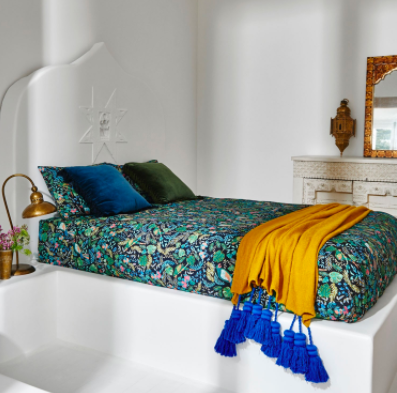 Signature prints, co-ordinating, block coloured cushions, bedlinen and towels are de rigeur for these exciting, fun and boundary pushing local designers. 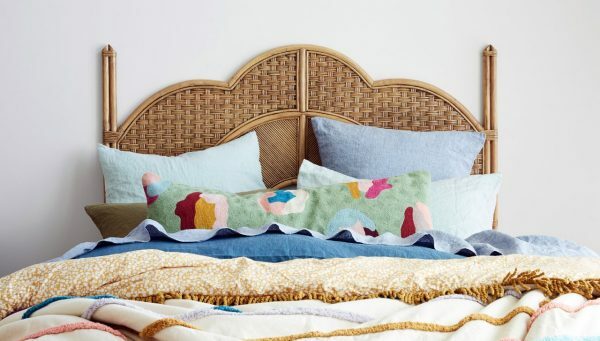 First up, here’s Kip & Co.’s new collection, First Light. Isn’t it the bomb dot com? Unsurprisingly, I’m totally crushing on this Birds of Paradise print in black paired with the aqua jersey bedlinen and a side of brass. And then there’s Sage & Clare’s BARKU collection, which features this stunning camo print as it’s centrepiece. On a related note, is there such a thing as too many cushions? If you’re looking for a bedroom refresh definitely check them out and don’t forget Kip and Co. also has an extensive kids and baby range too. 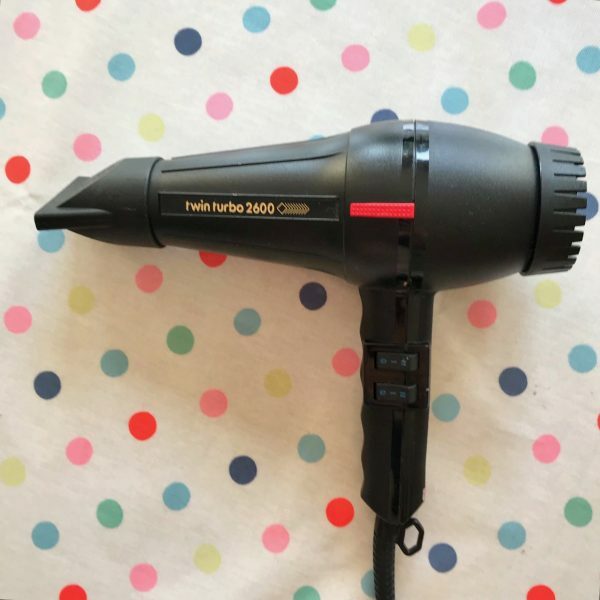 Wow, I was so grateful to everyone who answered my hairdryer SOS over on Insta and Facey this last week. If you haven’t caught up, my very faithful and long serving hairdryer got all sparky and smoky and died on me earlier this week. Major devo. But the people answered the call in my hour of need and your intel basically came down to two camps – Parlux vs Dyson. 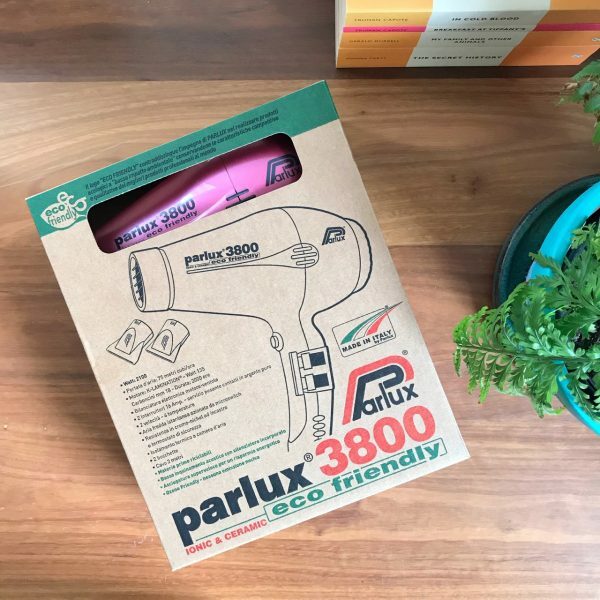 As this was a very unexpected expense, I chose the less expensive option – Parlux – which came so highly recommended by so many of you. Of course I bypassed the sensible neutrals and chose the pink. Finally, I saw the film Ladybird last week and I LOVED it – full review at the end of the month but it was definitely up there this week! I’d love to see The Shape of Water and still busting to see I, Tonya too. So over to you, what are your favourite things this week?